LED-illuminated wallpaper is no new concept. Last year, Philips indeed partnered with Denmark-based Kvadrat Soft Cells to develop wallpapers containing integrated LEDs. Philips’ LED lighting integrated in the Kvadrat Soft Cells panels aimed at providing full flexibility in achieving a desired ambiance. However, to my knowledge, printing white LEDs directly on paper using chemical methods is innovative. 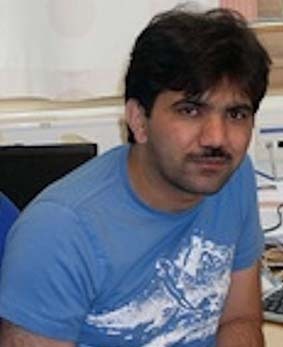 PhD student at Linköping University in Sweden, Gul Amin has demonstrated in his doctoral thesis that white LEDs, made from zinc oxide and a conducting polymer, can be manufactured directly on paper. It is possible to print them on wallpaper, for instance. The active components are nanorods of zinc oxide on a thin layer of polydiethylflourene (PFO), a conducting polymer. The paper has first been coated with a thin, water-repellent, protective and leveling layer of cyclotene, a resin. The first part of the thesis deals with ZnO nanostructures grown under different hydrothermal conditions in order to gain a better understanding of the growth. 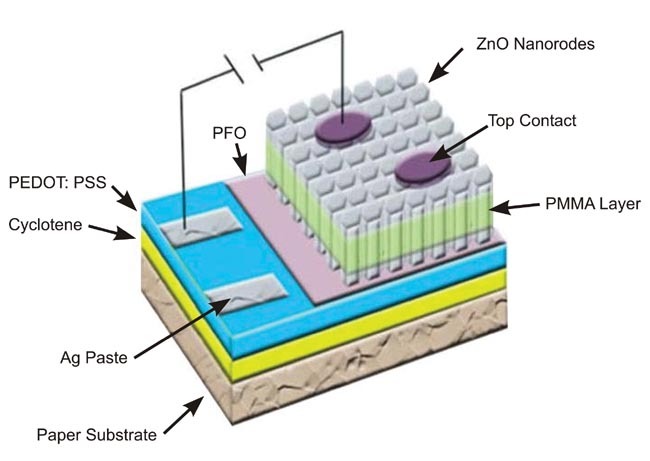 In the second part of the thesis, using the results and findings from the growth of ZnO nanostructures, Amin claimed it was possible to implement ZnO nanostructures for white LEDs on different flexible substrates. Amin said he and his team realized a ZnO/polymer LED grown on a paper substrate and then extended the idea to print the ZnO nanorods/polymer hybrid LEDs with potential application to large area flexible displays. “This is the first time anyone has been able to build electronic and photonic inorganic semiconducting components directly on paper using chemical methods,” commented professor Magnus Willander, who is leading the research. This method has a patent pending.